Our approach to medical compressor or vacuum system design is unique. Rather than offering a single, large system, we offer smaller, multiple-compressor units connected to a single air receiver. This energy-saving design means that you have maximum air delivery only when you need it. You have the flexibility of single unit operation alternating between compressors or multiple-compressor operation, depending on air demand. Champion medical air systems meet current NFPA99 standards for health care facilities. 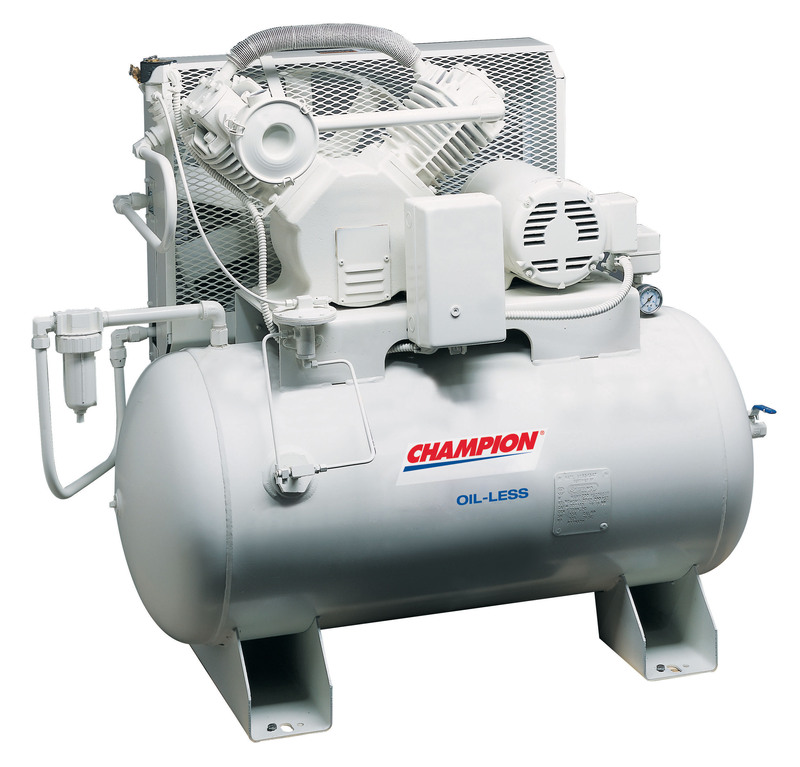 Staying abreast of the changing regulations and requirements for medical compressed air systems is a high priority at Champion. 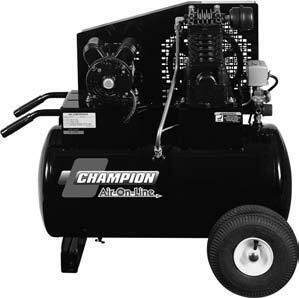 Bring your workshop to the job site with an industrial quality gas-powered compressor. Speed up the job with air-driven tools. Champion is your one source manufacturer, offering 20 unique models to choose from. Electric start and gas driven units are available. When you call about a compressor or repair parts, there’s some minimum things we need to know: What are you going to use it for? Also: Voltage; Output (cfm, HP); Tank (size); Lubricated or oil-less; Simplex or duplex pump; Mounted drier; Alternators; Control panel, Starter. For repair parts, please have the Brand, model and serial number available. Don’t forget the accessories: Pressure Regulators; Drains; Gauges; Relief Valves; Tubing; Tie-wraps; Air and Oil Filters.